La Provence newspaper, June 30, 1997: “…your results are consistent and the centre's progress is steady. 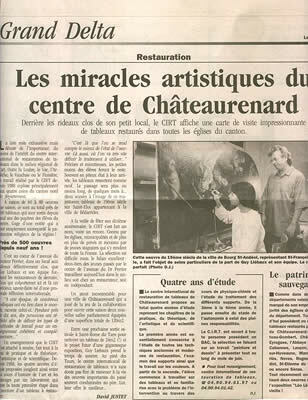 What we have seen today is excellent…” said the jury's president, Dr Jotreau, before an assembly made up of the Directeur Guy Liébaux and his colleagues…nice tribute in fact to the international center for art restoration, which has made more than a name for itself: a reputation! 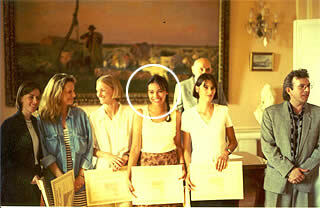 Christelle CHAZEAU (in the middle) in possession of her diploma after four years of study in the profession of art restoration, restoring of paintings.